Wondering How to Overcome a Calcium Challenge? By Jennifer Burcke on September 19, 2011 Visit Jennifer's Website. by Jennifer BurckeWe’re halfway through the Purina 60 Day See the Difference Challenge here at 1840 Farm. I am already seeing a difference in our flock of heritage hens and I’ve managed to overcome a chicken keeping challenge in the process. Up until four weeks ago, I was at a loss for how to fix the aforementioned challenge. My hens were all healthy and happy. They were laying eggs and we were enjoying eating every last one of them. There was only one problem in our little poultry utopia. Our chickens were laying eggs with thin shells. The shells on the eggs in our coop were fully formed, but definitely on the thin side. In fact, we were finding at least one egg a week cracked from the mere weight of the hen sitting on it. To some, losing one egg a week might not seem like much of a tragedy. Here at 1840 Farm, it is cause for a moment of silence. We live on a farm with six farmers who wait, rather impatiently, for each egg to be laid. A ratio of six farmers to seven laying hens makes each egg an incredibly precious commodity. I was at a loss for a viable solution to my problem. 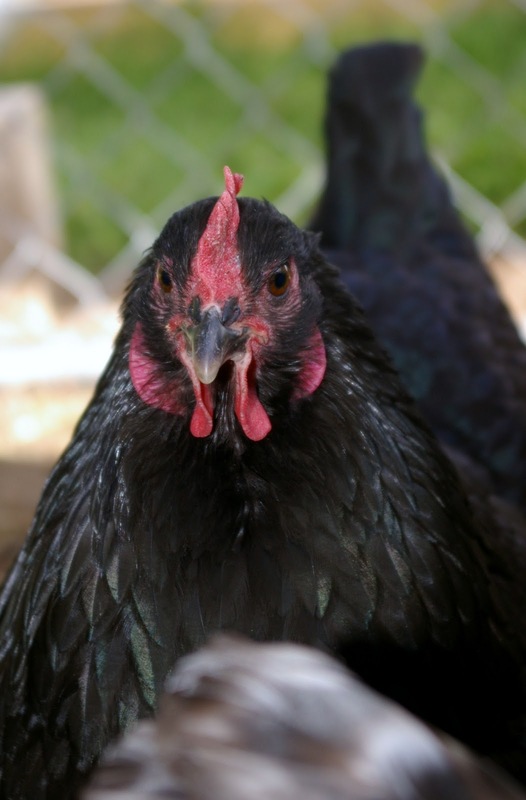 If I had posed my chicken keeping conundrum to the readers here at Community Chickens, I am fairly certain that I could have predicted the most popular solution. I’m willing to bet that many caring readers would have wholeheartedly suggested supplementing our flock’s rations with oyster shell.How can I be so certain? Perhaps it has something to do with my experience asking the owners of my local feed stores as well as several chicken keepers what they would recommend. They all answered without hesitation that I should add a pan of oyster shell to our coop and simply wait for the shells to become stronger. I couldn’t possibly take their advice. Don’t get the wrong idea. It’s not because I mistrust the honest advice of other farmers. Actually, I’m willing and happy to learn from the experience of other chicken keepers. It’s really much simpler than that. My son has a severe allergy to shellfish. If he touches something that has shellfish residue on it, welts and hives are sure to follow. After the reaction comes the treatment by way of Benadryl and the hope of not needing to use his Epi-pen. If the Epi-pen is called into action, we’re on our way to the emergency room in an ambulance for a day-long treatment event. It’s an experience that we try to avoid at all costs. I had no intention of inviting the catalyst to come and live in our chicken coop. Oysters are shellfish. Having their shells in the coop would mean banning my son from spending time there. He would no longer be able to happily feed the hens a morning treat and talk to them about the sunny weather. He wouldn’t be able to reach down and lovingly pet his favorite Black Australorp, Hedwig, without wondering if he would have an allergic reaction. Our chicken coop would, in his eyes, be transformed from a place filled with wonder and fresh eggs to an off-limits area with danger lurking right behind the door. The welcome sign hanging outside the coop would be forever changed from a symbol of our hospitality to a cruel reminder of my son’s inability to spend time there. I would have to find another way to boost the flock’s calcium levels. I felt that I had only one choice. I would have to do all I could to supplement our chicken’s intake of calcium through their daily food. Over the winter, I had fed our hens a morning treat of oatmeal with yogurt, kefir and flax seeds. At the time, they were not yet mature enough to lay eggs, so I had no idea if the addition of these foods to their diet would provide them with enough calcium. I also had no clue how I could convince them to eat hot oatmeal while the temperature outside was nearly 90 degrees.The complete poultry feed that I had been using had a guaranteed calcium content range of 0.80% to 1.2%. 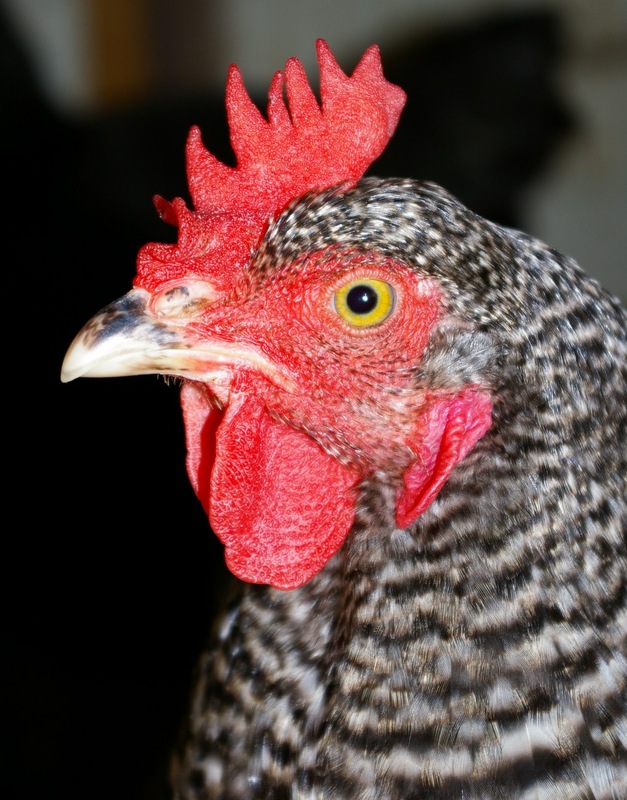 The formula was intended to be fed to laying hens and it had served its purpose in keeping our hens healthy and progressing along the timeline of their life. I had never before considered switching formulas, but I couldn’t ignore the weekly loss of fresh eggs. 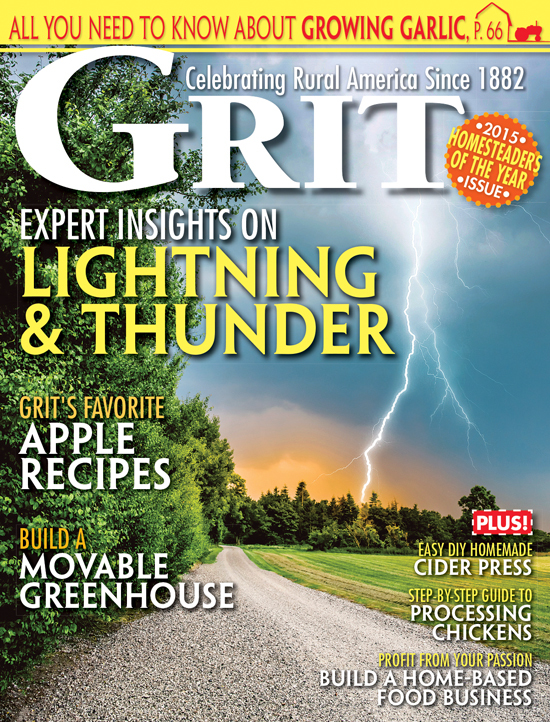 I started researching other complete feeds for laying chickens and found a few of interest. One was Purina Layena Sunfresh Recipe Pellets. I checked the product information for calcium content and was encouraged to find the guaranteed minimum to be 3.25%, roughly triple the maximum in my current feed. I continued reading to discover that the maximum level for calcium was listed at 4.25%. Now they were speaking my language. More eggs reaching my farmhouse kitchen was exactly what I had in mind. I went to my local feed store and eagerly asked for a bag of this new tool in my chicken keeping arsenal. It was then that I discovered that my local feed store didn’t carry the Layena brand. This was a roadblock that I wasn’t expecting. Back to the Internet and a search for a retail outlet that did carry the product that I was looking for. To add insult to injury, in the following days I discovered two more cracked eggs in our nest boxes. Unfortunately, the closest store carrying the Sunfresh recipe was more than 40 minutes away. A road trip was in order. A 40-minute drive may seem a little extreme to some of you. To me, it seemed far less extreme than having to buy eggs at the grocery store. Then, in a stroke of good fortune, I made a phone call to a store located only 10 miles from our farm. I had visited the store and been disappointed to find that they did not have any Layena Sunfresh formula in stock. They were happy to tell me that they were awaiting delivery of the Purina Layena Sunfresh Pellets on their delivery truck that afternoon. Eureka! Then good fortune made a return visit the very next morning. 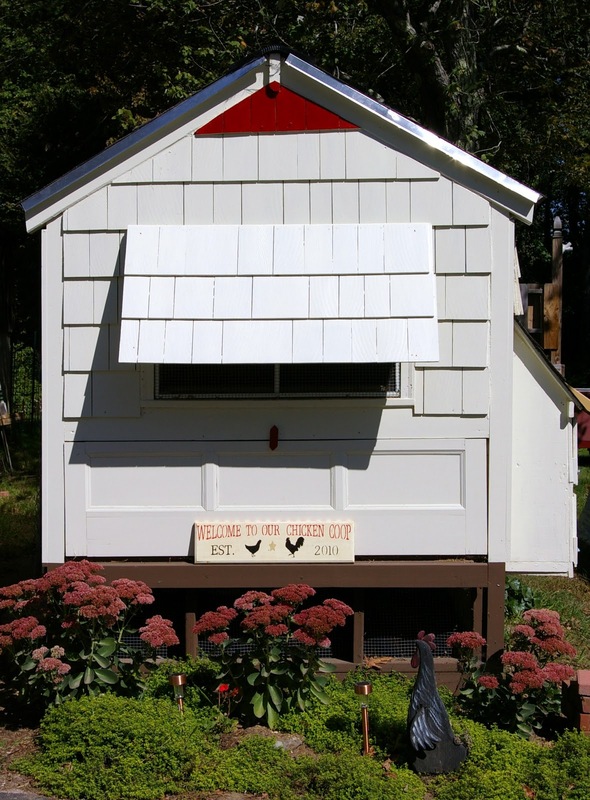 I received an invitation to join the Purina 60 Day See the Difference Challenge and share my experience with the Community Chickens readers. Fast forward a few days and our flock was being served a mix of their current feed with the newly acquired Layena Sunfresh Pellets. Over the course of the first few weeks, we gradually decreased the proportion of their original feed and increased the proportion of the new pellets until they were only eating the Sunfresh pellets. Now all I could do was sit back and wait to find eggs with stronger shells. I kept my fingers crossed that this was going to be the difference I had been hoping for. Our hens are now halfway through the 60 day challenge period. They seem to prefer the taste of their new feed as I find myself filling their feeder more often than I used to. I also don’t find as much loose feed languishing under the feeder. In fact, if one hen spills some feed onto the floor, another one is more than happy to eat the pellets off of the clean straw on the coop floor.I am happy that my hens enjoy the taste of their new Layena Sunfresh formula and that their feathers and body condition are both the picture of health. I am even happier to report that we have not encountered one cracked egg since the switch to their new feed was complete. In fact, I will admit to accidentally dropping an egg from the nest box to the coop floor last week. It was a moment fraught with peril as I watched it drop and waited for it to crack open and lay there, mocking my clumsiness. Instead, it fell to the coop floor and sat motionless as I reached to pick it up. I turned it carefully in my hand, inspecting it for cracks only to find that it was unharmed. The shell had done the job that nature had intended. It had protected the fragile egg within. It had enabled me to bring another treasured fresh egg into our farmhouse kitchen. It really was the difference I had hoped for. I can’t wait to see how our flock fares in the second half of the Purina 60 Day See the Difference Challenge. I expect to see continued good health accompanied by well-formed, strong eggshells. I’ll feel victorious that we managed to give our flock the supplementation they needed without having to make the coop off-limits to my son. As I do my farm chores over the next 30 days, I will hear my son’s 5-year-old voice during his morning visits to the coop. I’ll picture our seven hens gathered at his boot-covered feet. I will smile, knowing that they are enjoying his company, looking up at him inquisitively as they listen to the sound of his voice. Hedwig will predictably wait in line with the other hens for her loving pat on the head. As my son exits the coop, I’ll know that he is enjoying being part of the wonder that is chicken keeping. The knowledge that farming is still a family affair here at 1840 Farm will be just what I need to nurture my own sense of wonder. Welcome to the chicken coop at 1840 Farm, where wonder is alive and well. You’re always welcome at 1840 Farm. Visit our blog at www.1840farm.com. For daily updates about the happenings at 1840 Farm and our participation in the Purina 60 Day See the Difference Challenge, follow us on Facebook and Twitter. How did you determine the source of the calcium in the Layena Sunfresh feed? Did you contact Purina? I’m just curious how you would know whether it was or was not from oyster shells. I read the “ingredients” list provided by Purina and it is vague, at best. Sorry to burst your bubble, but Layena is not a cost effective way to add calcium. I go to a local restaurant that serves eggs, lots of eggs. They save all of the shells for me that I pick up twice/”thrice” each week. I lay them in the sun on a warm afternoon to dry, crumble them, and put them in a container to feed to all of my poultry as they need. Perfect recycling tip. how funny, our dozen hens all lay in one nesting box. I have been feeding purina feeds to my chickens because they come in pelleted form, and my chickens waste the crumbles. They like the purina better than the feed store brand, and I think they lay better. I have friends that say the same thing. None of us are shilling for the purina company, I really do belive it is a better product. I also have found the Purina Goat chow to be good for my milk goat, and lamb chow made a big difference in my bottle baby lambs. Its actually worth the extra cost over the store brand. Thanks for sharing. I’m glad that you have found a combination of feed and supplementation that yields you strong eggs. I have not used DE in the past, but I’ll have to do a little reading. I’ll have to dig a little deeper about shellfish allergy and DE! I use two methods for making sure my hens lay nice, strong eggs….first, I feed Buckeye 20% Gold Standard Layer Crumbles. I found that it worked great for the eggs when I started using it because 1)I can’t find the Layena here where I live; and 2)they were pulling each other’s blood feathers, a sure sign of protein deficiency. The Buckeye feed is great for making sure they get the protein they need and it also increases their calcium levels. Second, I give my birds DE, or diatomaceous earth. DE is made from fossilized sea creatures, so I’m not sure how it would work for someone with a seafood allergy….however, it is great for making the eggshells nice & strong in addition to keeping worm and other parasite infestations at bay. There are arguments for and against DE usage and its effectiveness, but it has worked for us with no problems at all. If you decide to use this, make sure you get food grade DE and not the stuff they use on gardens or in pools. You can get really sick from those varieties. How interesting! 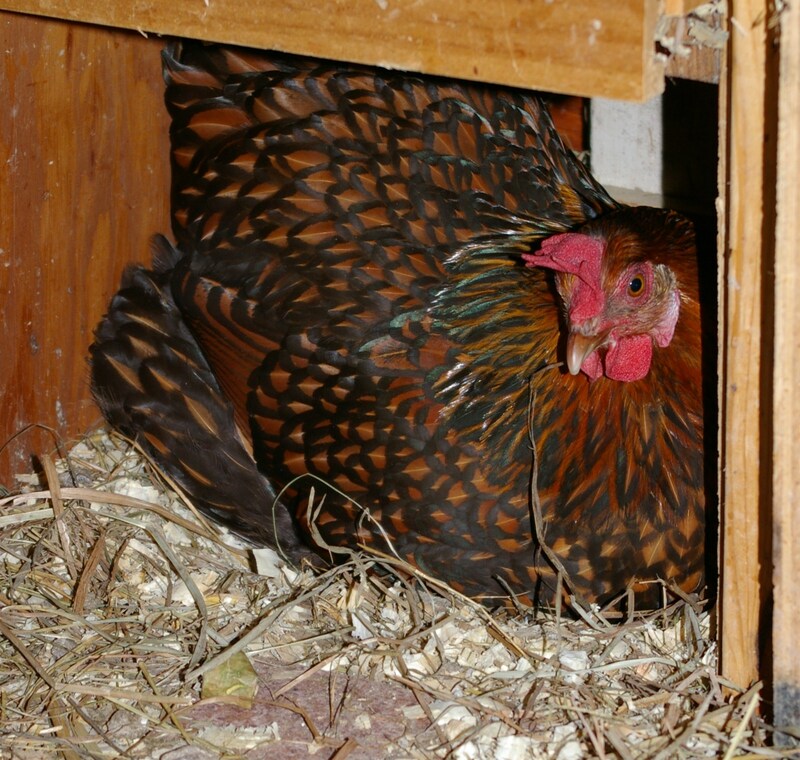 We also have a favored nesting box here in spite of the fact that there are twelve boxes for seven hens. They still wait in line some days for their favorite box and leave a clutch of eggs by the end of the day. We had our flock on Layena Crumbles for a while because they didn’t seem to like the pellets. At one point we tried the feed from our local Co Op, but it seemed there was a lot of waste. We’ve now gone back to Layena Pellets (the flock is older now) and they are eating it without problems and not wasting as much. We still have a couple of hens that seem to keep laying eggs with thin shells and have been keeping a feeder full of oyster shell for them to eat “free choice”. Sometimes I still save the egg shells, wash them and let them dry out and then crush them and add it to their feed. After observing their nesting behavior yesterday while cleaning the coop in preparation for winter, I’ve decided we are lucky that more eggs aren’t broken! Even though they have a double decker community nesting box that is 3 ft. wide, they all fight for the same spot! I watched as 3 hens pecked and layed on top of the poor little hen that was first to the spot! Now I’m rethinking the community nesting box idea! Thanks everyone for the tips and tricks! We use our eggshells to provide compost for our vegetable garden. I have fed our hens yogurt and they do love it. I even freeze some and feed it to them on very hot days. I’m glad that you have all had success with your feed or with supplementing your flock’s diet. Keep the good advice coming-I always love reading your comments and trying something new in our coop! I tried a different brand once and my hens wouldn’t even eat it. Most of it was on the ground. They don’t like pellets to this day so they are on Purina’s Layena crumble and my eggs have all been thick shelled and awesome! I put shells into my tomato beds and other raised beds to be tilled under for winter. I also add some to my compost bin. Yogurt sounds like a fun thing to do! I gave my girls part of a watermelon rind yesterday and they ate every bit of pink flesh and left the cleaned off rind in there. My girls also love tomatoes but not cabbage. So I have picky hens on my hands! We had the thin-shell issue with one of our chickens and supplemented with yogurt. Just about a cup of plain, run-of-the mill yogurt for 4 hens, put out in a pan. The girls loved it, came running, and ate it all before there was any danger of bacteria, etc. It worked great, had all strong shells within a few days. And cute little yogurt mustaches. Maybe our chickens are an anomaly, but it worked! 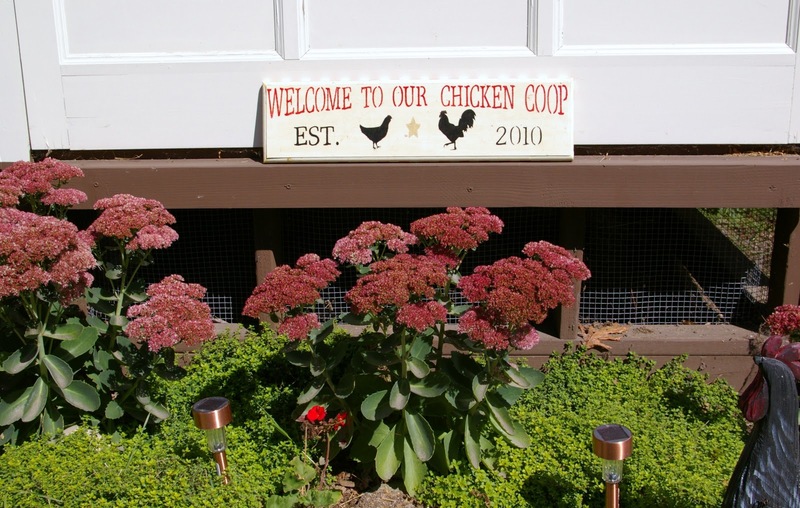 I LOVE the photo of your coop! I give my crushed eggs shells to my composting worms… I’ve never given them back to the chickens, but I’ve never had a problem with thin egg shells. My girls seem to enjoy Layena and I have to admit–I like the bag. ha! I don’t know what this lady is talking about, my chickens eat layena out of neccisity. They leave it everywhere and make a mess with it. I dont know what she was feeding them before or what type of scraps she gives them but my chickens hate the layina. Sounds like this letter is a marketing bit produced by layina or this lady is trying to get free products from them. I am a layina customer mainly because the bag looks nice lol I cant tell what the differences is from layina to southern state or anyone feed for that matter the only thing i have noticed is my chickens dont care for layina one bit. I would prefer to buy organic or produce my own feed but it would be to costly. I use eggshell too. They really seem to like eating it, and I like having a good use for it. My chickens have always been fed Purina from the chick starter formula to layena. This is my first time keeping chickens and I had read that the 1st eggs might be odd shaped and have weak shells. The 1st eggs were small but perfectly shaped with hard shells. When I share eggs with friends they always comment on how much harder the shells are than the store bought ones. I have never used oyser shells or given them egg shells so it has to be the Purina. Egg shells will also supplement their need for Calcium. You can put them in the microwave for a minute or less and they will break into little pieces.